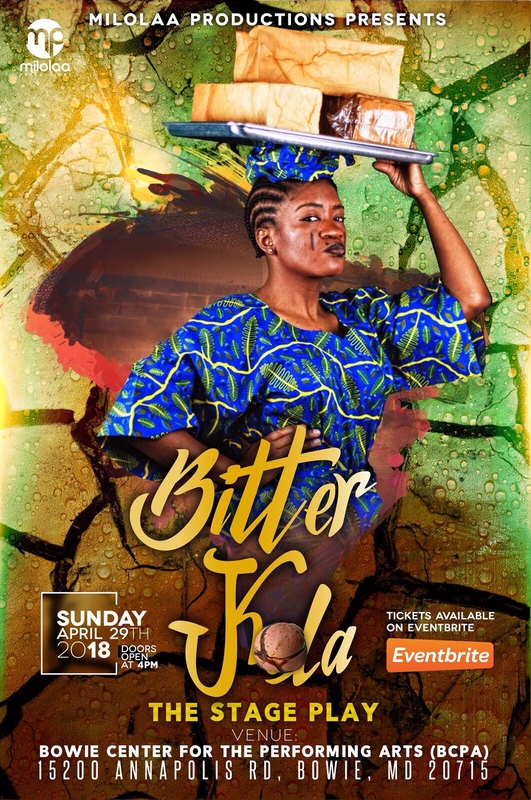 “Bitter Kola” is a compelling play full of love, forgiveness, self discovery and new birth, set in the heart of Africa. Come and take a figurative trip to the vibrant family compound of Chief Cornelius “The Great,” where things don’t really appear as they seem. This play can be enjoyed by the entire family.